Factory German HK 416 Lower parts kit from demil pd trade in, complete except receiver and sear are not included. 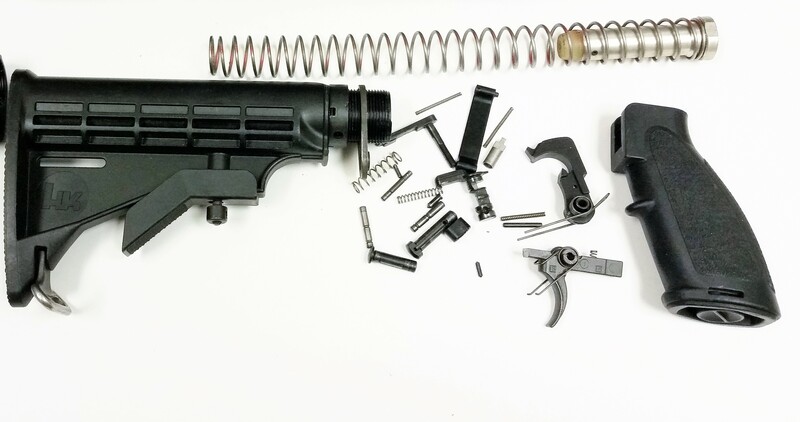 Includes trigger and other small parts, stock, grip, recoil buffer assembly, in used good to very good condition. Stock Photo. ALL NFA Rules apply.